Shipwrecked! 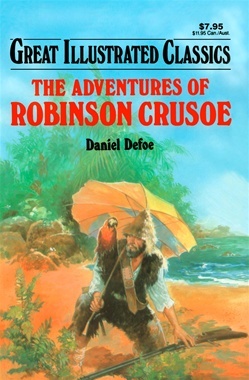 A violent storm at sea destroys Robinson Crusoe's ship. He alone survives and is cast ashore on a deserted island. In this great adventure story of survival and courage, Crusoe must summon all his strength and intelligence to survive and flourish against impossible odds. Here is an amazing tale of a young man who overcomes loneliness, tames wild animals, battles ferocious cannibals and dangerous mutineers in a twenty-four year struggle to stay alive!